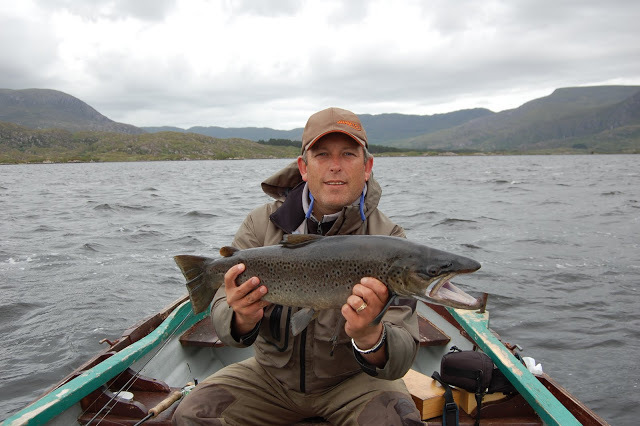 John Buckley is one of Irelands top salmon anglers.John lives in county Kerry, a mecca for Irish flyfishing. He has represented Ireland many times in international competitions and has been the captain of the team for the last couple of years. 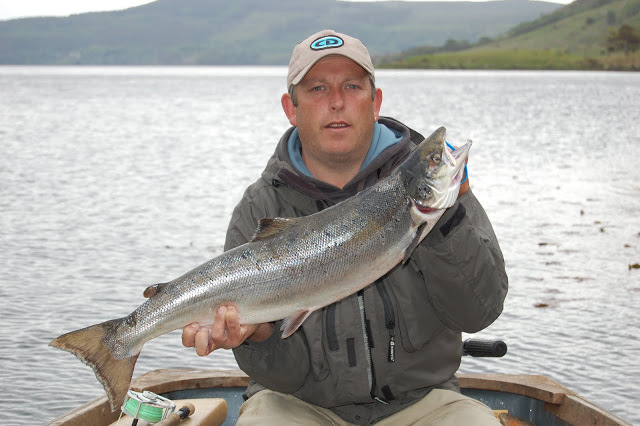 John is also a top fishing guide for his favourite species salmon and sea trout. Me: John how did you start out fishing? JB: I really can’t recall any specific time when fishing began for me as I always remember having a fishing rod in my hand. I never had much of a choice when it came to picking hobbies and past times as I believe I was genetically programmed to take up angling. Both my mom and dad were anglers as were my uncles and two grandfathers. I do remember playing and losing a grilse when I was about 5 years of age which I caught on a size one Mepp while messing about for trout, but my mother assures me I used to be in the boat with my little hand me down fishing rod trolling for trout from a younger age. 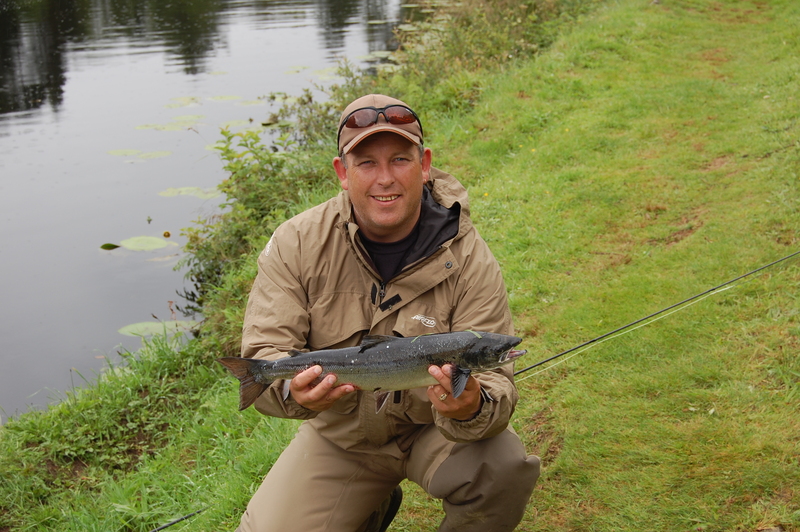 Me: You are one of the top salmon and sea trout guides in the country, what is it about these species that have captured the imagination? JB: I’m obsessed with all things fly fishing but Salmon and seatrout has to rate up their above all species as they offer the best sport in terms of catch difficulty and fighting fun. I love the silver sheen of the sea on a fresh fish when the run the river and the hours and sometimes days stalking a fish and that you eventually hook. You cannot help but admire these fish if you step back and look at their life cycle and what they have to endure from egg stage in the streams to returning adults to spawn. They can be very difficult to catch at times especially in the spring when ability has little to do with success. Luck, conditions and local knowledge play a major role in making a cold, wet hard day’s fishing something memorable. You then have to question what makes salmon take a fly or a spoon. Is it aggression or what is it as they don’t eat after they leave the sea? Me: Can you tell us about the fishing in Kerry? JB: Fishing in Kerry doesn’t receive the recognition it deserves as an angling holiday destination. No matter where you are in the county, the chances are you are only a few minutes from water that holds a fish. 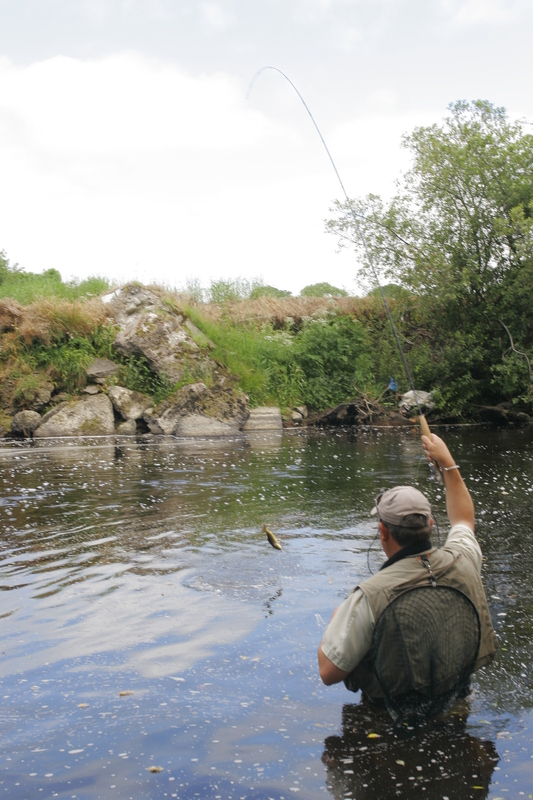 There are numerous small streams that hold quality trout as well as the bigger recognised rivers that have salmon and seatrout runs .All around the coast from Ballybunion to Kenmare there is plenty of fishable marks where you can catch Bass, Pollack and mackerel either on the fly or with spinning tackle. Then we have a wide range of fantastic hotels, pubs and restaurants that caters for all pockets and if you want a day off from the fishing there are plenty of other activities to keep you entertained for a day. Me: If you were planning a trip for your first time, what advice would you give? JB: If it’s a short trip I would recommend making contact and booking a guide first. You can’t beat local knowledge as preparation is key to a successful and enjoyable trip and they can also have all the mundane tasks done for you prior to your arrival such as purchasing licences, booking permits and looking at weather forecasts and water levels to formulate a plan of action. This is very important as it will allow the visitor the best opportunity of landing fish. 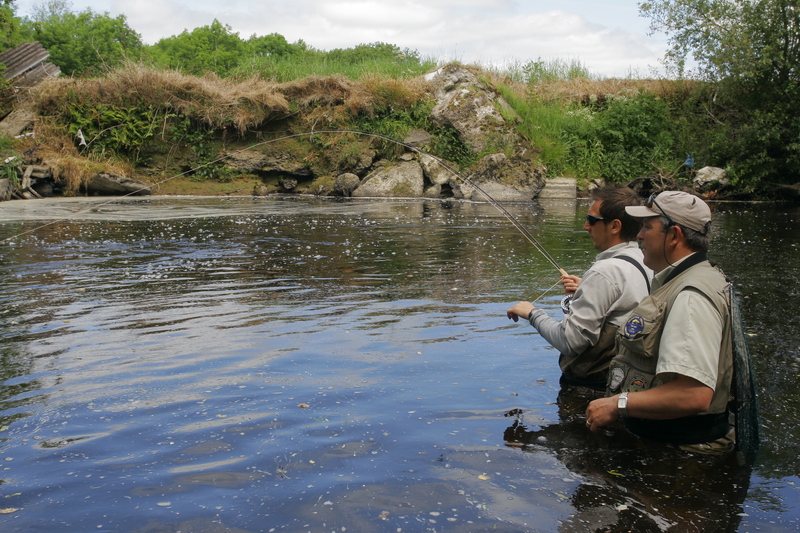 Guides know the local waters and will usually go that extra mile when things are slow and they always have a plan B ready to give the visiting angler the best chance of a fish as some waters upon his arrival may be unfishable due to conditions as could be the case here in Kerry as many of the salmon waters are Spate Rivers. When fishing for Salmon and Seatrout a state licence is required but there is no licence required if you are fishing for brown trout. Most rivers are either under state or club/angler associations control and daily permits are needed if you are fishing these waters and again this is another reason why a local guide is very useful. If you are not in a position to hire a guide then the IFI or the local tackle shops would be worth contacting prior to your arrival as they would also have good knowledge of the area. Me: How does a salmon angler know what method to use on what day? JB: Water and weather conditions as well as location will dictate what method of angling offers you the highest catch rate. If the river is in flood or coloured, then spinning and bait where allowed is the best option, but if it’s running clear either in high or low conditions then flies can work best. Most spate rivers have a steep gradient and are usually rocky and narrow with fast deep pocket water where a weighted trotted bait or spoons and spinners presents the best options. On the much larger wider waters where the water flows and glides at a steady pace these will be fished with a fly rod matched with a line with a selection of weighted sink rate tips. Common sense and preparation usually comes up with the right option. Me: You have represented Ireland many times at international level can you tell us about your match fishing? JB: Nothing compares to it as I love competitions and the rivalries and friendships that come with them. To date I have represented Ireland 7 times, five as a competitor and twice as captain and just like my first time I can’t wait to go again which I will be in 2016. For me representing my country and walking behind the tri-colour is the highlight of my life above everything else and I mean everything. It has taken me to some of the most remote beautiful places in the world and if it was not for fishing I most certainly would never have seen them. Competitions sometimes get a lot of bad press but whether people like to admit it or not competition angling has a huge influence on angling from the type of tackle used to the methods employed in catching the maximum amount of fish from a stretch of water. Thankfully times are changing in Ireland for competitions and catch and release is used more and more which is great for the sport and the fish. Me: Can you tell us what catch over the years gave you most happiness? JB: The fish I remember the most and it sticks out in my mind was more about the circumstances of the catch than the actual fish. My dad died in 1989 after being fishing a lake in Killarney all day and as we ate supper that evening just a few hours before his sudden death he told me about a salmon of about 8lbs he had seen at a certain rocky outcrop on the lake. After his funeral 3 days later I went fishing for a few hours to clear my head and on the way back to my mooring I made my way to the spot we talked about. I was casting my trout fly rod for about 5 minutes when there was a large boil under the fly and all hell broke loose, it was a salmon. After about 15 minutes I landed the fish and it weight 8lb 5 ounces and I have no doubt in my mind it was the very same fish my dad had told me about. Me: Kerry is such a good place for shore fishing in Ireland, do you ever go saltwater fishing? JB: Sadly I don’t do enough of it but I have recently begun to fly fish for Bass from the shore and for Pollack and mackerel from a boat. 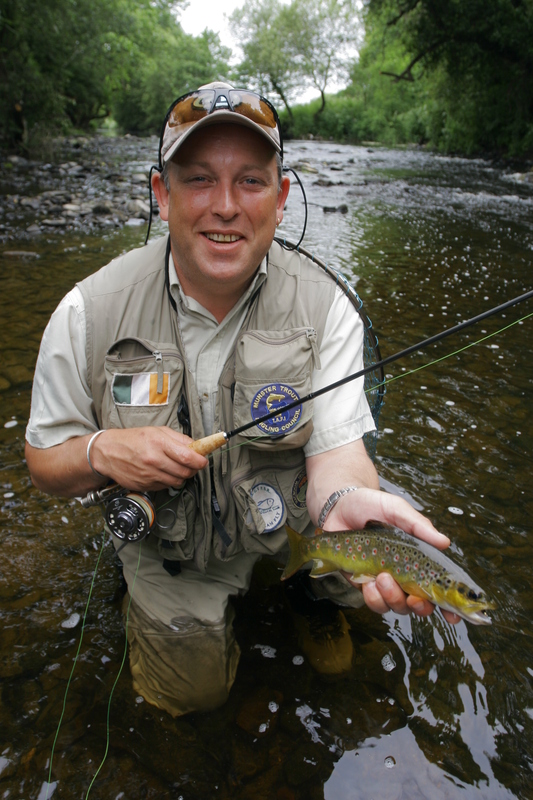 Its fantastic sport and I fully intend to put more time into it around Kerry as we have so much fishable coastline here it would be a sin not to. I am the distributor for Airflo in Ireland and they have come up with some very good fly rods and lines for the saltwater fly angler and of course they all need to be thoroughly tested over the winter months, well that’s what I’ll tell the wife anyway. Me: what would be your perfect morning fishing? JB: Usually I would say any morning I can get out but if I was to pick a specific time it would have to be just after a flood on a summer’s morning around the middle of June at 5.30am with the sun just coming up over the Macgillicudy reeks and plenty of grilse running the river. It is so peaceful that early and there is one else around to bother me except the birds and the odd deer. Me: And finally John, what are your fishing hopes for the rest f 2014? JB: My hopes for 2014/2015 are that the ministers listen to the genuine anglers in this country and stop listening to the opinions and false information from a few influenced angling representatives when considering policy that will affect every other angler in the country. This latest angling contribution/national register debacle is a case in point where the minister was misled by certain individuals who were out to line their own and their organisations pockets regardless of the cost to the rest of us and thankfully it was stopped. I would also like to see any notion of allowing the salmon farm go ahead in Galway Bay scrapped as it will have a detrimental effect on our salmon population nationally and the employment and revenue salmon angling generates in Ireland. JB: No problem lads anytime…. This entry was posted in Interviews and tagged John Buckley, salmon, Sea. Bookmark the permalink.